Addresses all aspects of family violence including child abuse and neglect, teen dating abuse, domestic violence and elder abuse. They offer a continuum of research-based prevention, intervention and treatment programs for individuals (like counseling, prenatal/early intervention services, medical services for foster children and community training programs) who have experienced family violence. This national organization has a local chapter that offers support and guidance to children and adults with ADHD. Visit their website for contact information. Program: Offers youth and their families mental, emotional and behavioral health programs and services. Licensed social workers and counselors provide counseling and clinical treatment programs addressing a range of issues including school concerns, sexual abuse, delinquency, domestic violence, family conflict, substance abuse and mental health issues. They also offer parenting classes, free kindergarten readiness programs and after-school and summer programs at their two youth centers. Provide resources, services and workshops the promote a culture that prevents drug and alcohol abuse, while supporting individuals and families affected by substance abuse. Visit the website for contact information. Offers advocacy, pregnancy and postpartum mental health services, support groups for people struggling with various mental health challenges, workplace and community educational programs, professional training and an online resource directory. Their free, confidential Ombudsman Program for residents of Franklin County offers a caring, knowledgeable mental health professional who helps individuals and their family members resolve problems related to mental health services. They listen to concerns or complaints and can help parents and families find needed community resources. Provides support, advocacy and education to improve the quality of life for people with mental illness, and offer support to their families and close friends. Support groups and educational classes are available free of charge throughout Ohio for various ages and stages of development. Franklin County residents may call 9-1-1 and request a police officer who has received specialized training in mental health and substance abuse issues (a CIT officer). NAMI Franklin County Crisis Intervention Team (CIT) Program is a police-based pre-arrest jail diversion program. Helps licensed preschools and child care providers in Ohio with preschool-age children whose behavior poses challenges in the preschool setting, putting them at risk for expulsion. To access on-site consultation services call the number below or complete their online request form. 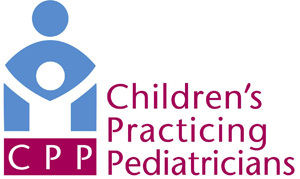 OPEPP is a collaboration among the Ohio Department of Mental Health and Addiction Services (OhioMHAS), Big Lots Behavioral Health Services at Nationwide Children’s Hospital and local early childhood mental health providers. A drop-in wellness and recovery center that offers one-on-one and group peer support with daily recreational activities for mental health, trauma and substance abuse. No appointment needed. They also have a “Warmline” to call for non-crisis support. A community-based drug prevention and youth leadership program for middle school and high school students. The goal of its many projects is harnessing the powerful influence of peer pressure, making it a positive force that encourages youth to live free of tobacco, alcohol and drugs. Call for meeting schedules and more information.